An investigation into the murder of a Lincolnshire man, found stabbed at his home, is to feature on the BBC's Crimewatch programme. 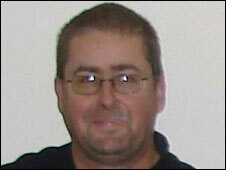 Alan Wood, 50, was stabbed to death in a sustained attack at his home in Lound on 24 October 2009. An appeal to catch his killer is expected to feature in the programme on BBC One on 27 January. Crews will be filming in Lound, Stamford and Bourne over the next few weeks. Police said Mr Wood's bank cards were used, possibly by the murderer, days before and after his body was found. He was last seen alive on 21 October . Mr Wood, an avid photographer, has been described as a placid person who "wouldn't hurt a fly". He worked as a gardener and at the nearby Sainsbury's supermarket.